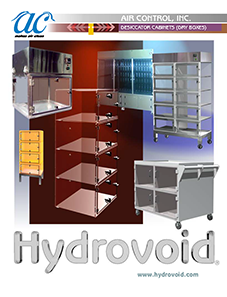 Hydrovoid | Air Control, Inc.
Air Control’s clean storage cabinets and custom environments are designed for the protection and storage of particulate sensitive semiconductor parts, microelectronic devices, biologic mixtures and sensitive processes. 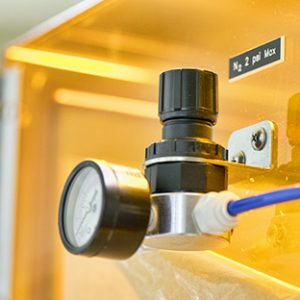 In addition to the Hydrovoid® line of standard dry boxes and desiccator cabinets, Air Control fabricates custom units designed to meet the customer’s specific requirements. 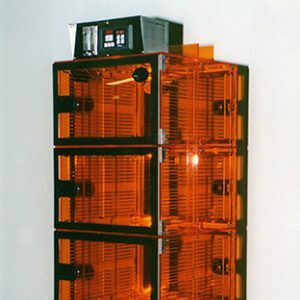 Air Control custom builds in Acrylic, PVC, Lexan, Polypropylene and Stainless Steel. Units may be designed for bench top placement, or with support stands. Various critical environments may be created and maintained within the unit. 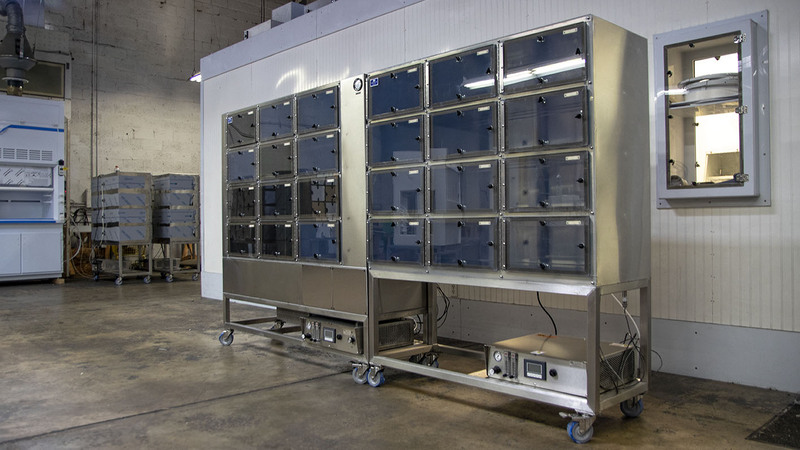 All Hydrovoid® desiccator cabinets and dry boxes are manufactured with the features that you are looking for in high quality clean storage solutions. 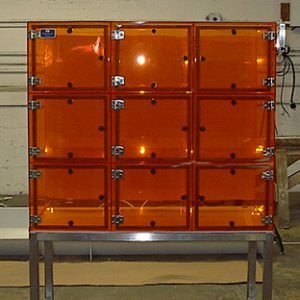 A full range of options are available to customize the use of Hydrovoid® clean storage equipment. Contact us by either email or (252) 492-2300 or download our catalog.